We, at the “Maria Tsakos” Foundation, share what we have received from the sea and its people by fostering Hellenic and global shipping and the maritime tradition. The “Maria Tsakos” Public Benefit Foundation – International Centre for Maritime Research and Tradition was founded in 2008 in Chios Island, Greece, by Capt. 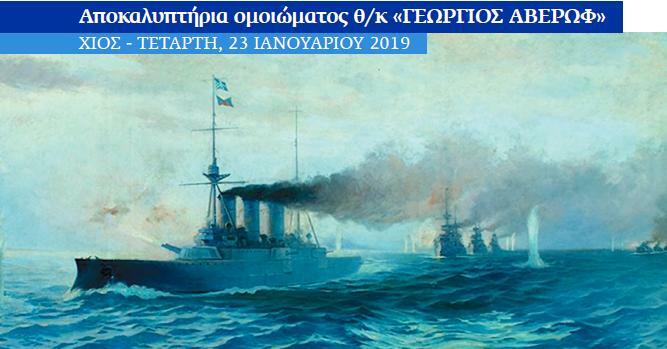 Panagiotis N. Tsakos and Mr. Nikolas P. Tsakos with the scope of promoting research, the study of Greek and international shipping, maritime tradition and education, as well as the protection of the marine environment. The Foundation carries the name of Capt. Tsakos’ beloved daughter, the memorable Maria P. Tsakos; a great promoter of the Hellenic spirit and a valuable supporter of the seafarers. The “Maria Tsakos” Foundation commenced its operations in 2010, basing its headquarters in a 19th century neoclassical building on M. Livanos Street, near the port of Chios island. The mansion, which once belonged to the Michael G. Livanos family, had been completely renovated by the family of Captain Tsakos with respect to the historical architecture of the building. In 2014, the restoration work of the mansion received a citation from the cultural organization “Europa Nostra” in their European Union Prize for Cultural Heritage, the “Europa Nostra Awards”, in recognition of the professional standards of its conservation and the adaptation to its new use. The Foundation is managed by a Board of Directors, with Secretary-General Emeritus of the International Maritime Organisation (IMO) Mr. Efthimios E. Mitropoulos as Chairman. The Foundation’s Director is Mr. Michael Belegris, former President of the Municipal Port Fund of Chios. As Capt. Panagiotis N. Tsakos states, “The International Centre for Maritime Research and Tradition based on scientific research and new technologies, and with respect to our maritime culture and history, will pursue initiatives that will support the shipping industry and the seafarers, believing that “the wise man can live anywhere, but a good-natured state is basic for the citizens’ well-being.” (Democritus, 470-370 B.C.) (in greek, “ανδρί σοφώ πάσα γη βατή, ψυχής γαρ αγαθής πατρίς ο ξύμπας κόσμος”).